A few weeks ago my sister hosted a get-together for some close friends and family. Here’s a look at what I wore to the brunch, head-to-toe white. Sometimes a simple tee pairs perfectly with a lace skirt that’s more intricate. I’ve always been a fan of wearing mono-chromatic color scheme. Also I need your help! I’m in the process of re-vamping my site. I am introducing a few new posting series but I would love to hear from all of you what topics you would like to see me post more about on Pink Peonies. Leave your comments below, I want to hear your feedback! You can expect to see new kinds of content and topics coming to my blog! I can’t wait to show you the exciting posts/new site we have coming up. I hope you’ll love them! I would love to hear your opinions on the issues of the day. Current events, politics, the important religious questions. The beauty posts are amazing, but I would love to hear more about the books you are reading, the parenting philosophies that resonate, your plans for educating your children, and your heart felt views on women’s issues, healthcare, and education. I know there is more going on in that noggin of yours than how to dress up a pair of ripped jeans. Keep up the perfect work!!! I would love to hear more about your blogging experiences and how you edit your photos. I love the all white-ensemble! So classy and chic! And that brunch looked lovely! I would love to see more food! Cooking, or what you like to eat everyday. Also, more mom tips, everyday lifestyle. “A life if the day” posts I always like to read or what other people eat or do for dinner… for different ideas or to make me feel better about the weeks that include lots of takeout for us! Home Decor, Bueaty/Hair!!! Can not wait to see all the new posts! Also how you make church happen on a Sunday! Like how you plan to get all of you fed and ready and out the door and what you bring or game plan is if the kids are having a meltdown and how you spend the rest of the day. I would love to see more home decor, everday lifestyle, TRAVEL, and Hair/Beauty! Can not wait to see the new site! Have a great Day. Rach- I LOVE your zipper pics… I love scrolling through blogs and seeing women like you wearing these amazing garments that I feel like I cannot wear based on my body type but it’s so refreshing that you shared the realness in wearing a midi skirt that hits right where a lot of us can tend to bloat after a meal! THANK YOU FOR BEING REAL!! You are always so generous with your readers about your life and children, I just wanted you to know that I sincerely appreciate it! 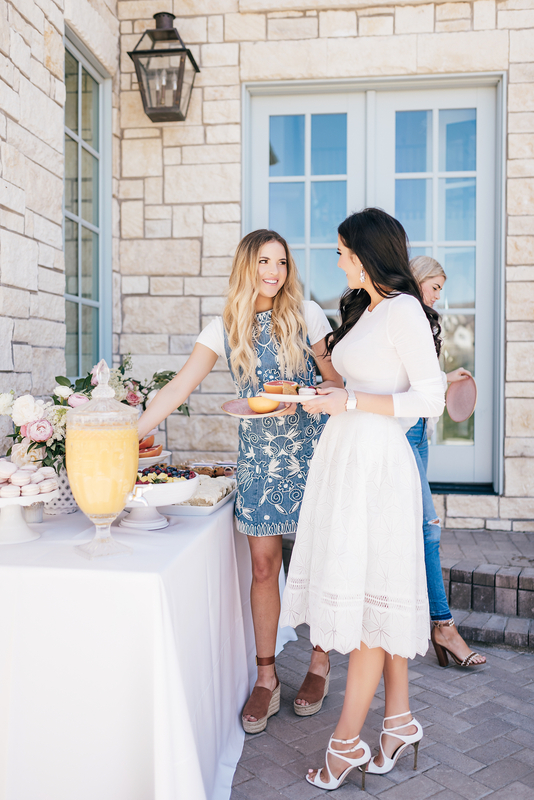 Your outfit is beautiful and I love the brunch set up, so pretty! Would love to see more diet and exercise, along with casual daily outfits for moms. I would love to see more home/ decorating posts, as well as maybe some food related posts and/ or recipes. Also a maybe some work out/ fitness type posts would be nice as well! I’ve never left a comment before but was so impressed with these photos I had to let you know. These are some of the prettiest pics I’ve seen you post. Maybe it’s because they are candid or just really close up. Details on your clothing are so clear and Jackson’s expressions on his sweet face are precious. I loved every picture here. More like this. I absolutely love you! You have inspired me to start my own blog. I would love to see more about things you do with the kids, interior design and about making money blogging. I love all white together! It’s one of my favorite color combos to wear. I absolutely love following along and have been reading your blog for years! Your blog is definitely my favorite to read. Love what you are doing already, but would love more home decor and mamma/kid inspired content! Would LUV to see more “wear to work” outfits! Need inspiration on the daily grind outfits- creating a work wardrobe that works and stays on trend. And beauty tips are always so great? You look so beautiful! I love the all-white look. You own so many designer shoes and hangbags. I would love to know more about your favorite designer shoes/bags. Which was your first one. Would you ever do an indepth review of some of these designer or your shoes and bags in general?? You look absolutely beautiful, Rach! I love the way you’ve styled your white skirt with a simple white tee, it makes for a lovely combination that’s elegant and fresh, perfect for summer! I also love your sister’s outfit, too, that dress is too cute and looks great with the espadrilles! As for what I’d like to see in the future, I’d say more interior design; I adore the way you decorate your home. I’d love to also see some posts on the look for less interiors, as you do with clothing. I know some pieces and decor can be quite pricey, so if there are any alternatives that can create the same effect, that’d be great to know! Thanks for sharing and I hope you have a great weekend ahead! Would love to hear about your home life. Your day to day routines, running household, your husband and just how you really make everything work including if you cook and clean!!!! Hey Rach, could you please do a new post on eyelash extensions? Yours look so good, maybe you could take some pics of the process (before/after)! Rachel, that outfit is priceless! Love everything about it ? And as far as content goes, your posts on interior decoration are always a hit and that’s something I’d definitely love to read more of ? … Good luck with the site revamp! ? Beautiful outfit! Love your family’s looks! Your caption about just eating cracked me up! So cute! I’d love to see more about your interior design process. I think you have such a great eye and I would LOVE to see the entire process, just not completion. I would love to see more beauty content. And a vlog series. I love you on style code live! Mom tips and how you take care of your clothing. I would love to know how to keep my staple wardrobe in tip top shape! Great post. Combining a t-shirt with a more formal skirt is my all-time favorite outfit formula! I would love to see more of your home decor! I also love your winter posts in the snow / Christmas home decor. Also a post on how to start a blog tips would be great as well! Love your blog!! Gorgeous photos! Any way you could share your sister’s (Maggie) outfit details? I also love her denim dress! Would love to see a complete house tour! I would like to see more beauty posts, make-up, hair, self-tanner, skincare i.e. Also, maybe more affordable clothing options. Would love if you did a series on affordable outfits..i.e…Target, Gap, Oldnavy…also, ? in LOVE with your clothing line…could you post the size you are wearing when you model the item. Would help tremendously. i would love to see more personal content (kind of like your posts from a few years ago). I loved when you shared details about your vacations, weekend snapshots, etc.! Honestly, going through this post, I couldn’t help to think how much you give me Kate Middleton vibes! I’d love to see how you’ve grown in photography and blogging! You have beautiful pictures and of course your blog is amazing! It would be interesting and helpful to see what worked for you. And of course keep up the adorable outfits, family posts and parties!! I would love to see more lifestyle focused posts, daily parenting adventures, home decor and baking. Thanks! I love your blog and think you’re fantastic! I would really like if you talk about confidence and believing in ourselves. Your sister said one day in her post that she always admired the way you never compare yourself to others. It would be a very nice new topic! I love your site! I would like to see a post on how blogging turned into a business for you. Also your everyday beauty (eyelash, spray tan, extensions, nails). Your steal vs. splurge posts are my favorites! This post hit the nail on the head! 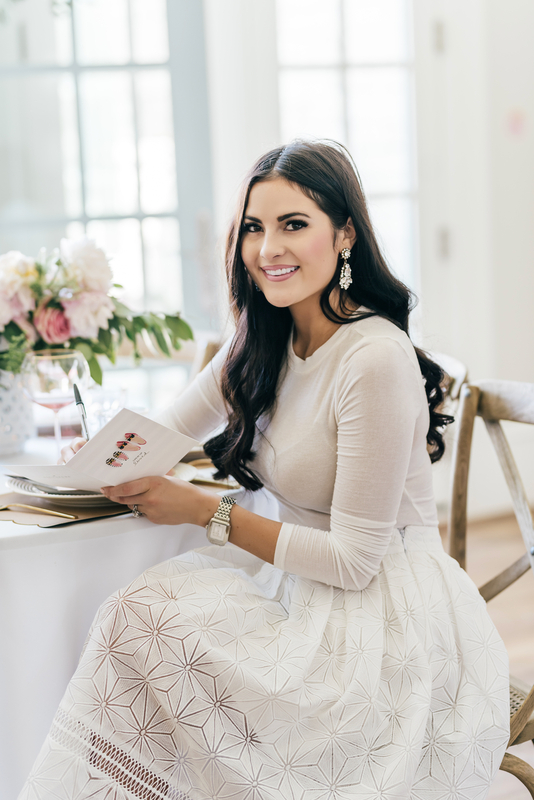 Life is not perfect and I’d love to see more of what makes Rachel Parcell tick! A “behind the scenes” if you will. Your Snaps & Insta stories are hilarious. Emily peeing her pants… that’s raw, it’s real. Your site is so pretty, but I’d love to see you get back to your roots of when you first started. Your outfits were more relatable. But I love everything… I hope one of your series is about the new home coming. Will it be more kid friendly? Or more glam? Good job Rach, keep up the good work. You’ve built an empire! Hi! I love all of your posts! I would love to see more of what your kids are wearing! I am always looking for cute quality clothes for my baby girl! Thanks! Love this post! I would love to see more of what you used to do, like weekend updates showing photos and a post about what you did. I feel like it is a lot more personal and I love that! Your life is just so pretty! :) I love seeing your clothes and your home! Love this look! I would love to see more motherhood posts as well as some posts about the home building process for your new house! I love your site for beautiful images, amazing fashion inspiration, and following along with your growing family. You generally have a nice mix of designer labels and more modestly priced pieces. As feedback to your question, I would love to see more links to less expensive pieces that are inspired by your looks, even if it’s not the exact item you are wearing. I know I certainly appreciate when you do include those links. Another idea is showcasing one classic item styled several different ways. Your closet is aspirational, but I don’t have room for as many new items. Also, I always love your home design and building process posts. Thanks for sharing your life and style with all of us. You are an excellent role model for women and great at what you do!! Can’t wait to see what you have in store for us!! -your business growth stories (blog and clothing line). Blog: When it really picked up, when you knew you needed assistance. Clothing line: did your studies help or did you hire someone to guide you through building your clothing line, your creative process on pictures and styles, etc. i love your family and life updates and the diet/fitness/wellness posts. I would love to see you talking to your readers more, like Q&A videos and things like that! I know you tried to create a YouTube channel once but it was too much! But I just thinks that videos are so raw and you can truly get to know your favorite bloggers! I know Rachel from Instagram and blog but I don’t really know what you sound like and your personality if that makes sense and I would love that! I think readers really like to get to know they’re favorite bloggers and connect in a different level and not just through pretty pictures which by the way you have the best ones! But maybe if you did a few videos here and there with readers Q&A or a daily vlog things like that I think people would get to know your personality so much more! OHHHH I would also love to see more home decor! Please do a home tour video before you move, I miss dying to see your entire house! Love you and you are my favorite! Wait I left a super long comment and it disappeared ?? or maybe you approve them first? ? I have been following you for a long time now, I really love your style, especially with your home. I just bought a house and we’re renovating it, and your kitchen was a great inspiration for my home, so much that my designer calls a wall the “pink peonies” wall ;-)! Thank you for all your inspiration! I would love to see more home design ideas, ideas for how to be the best hostess and tips for new mamas! Can’t wait to read your new posts! You look absolutely stunning! Love this brunch look! More hair/ beauty and children’s product/clothing recommendations, thanks! Love all your posts. Your children are beautiful and I love watching them grow!! 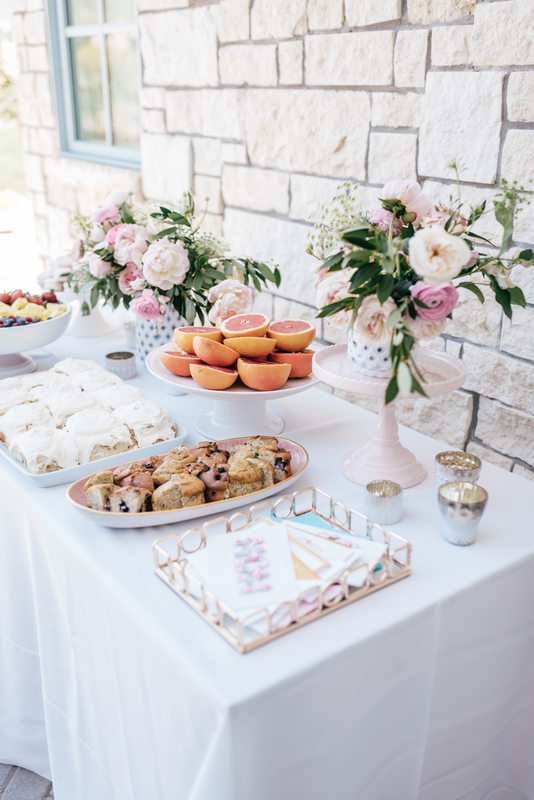 I purchased the beautiful pink plates from Anthropologie you posted on Easter. And please post sources !! I would love to hear more about home decor, your decorating style, tips on home decor! You have wonderful taste! I’d love to see more about where you live, and your surroundings. Utah looks so lovely. Love seeing you with your family! Beautiful pictures! Your posts are lovely, but I would like to also see more business attire featured on the site. Fit information would also be helpful. This is especially true for designer shoes. Been reading your blog for years! Excited to see what your changes will be! I’d love to see more pieces that are affordable and not party clothes as I rarely wear that kind of outfit. I’m either In something for work or I want a cute weekend outfit. Would also love to hear more about your parenting tips and about your hair routine! You’ve shared tools, but I would like to know if you wash it every day and if not how to keep to looking great. Thanks! I tried to leave 2 comments but for some reason they are disappearing. Home Décor, please do a video with a home tour before you move ;) I would also love to see more raw posts. I would like to see more videos and see more of your personality. It’s hard to translate that in pictures. Maybe adding a few videos answering reader’s questions, vlogs, beauty and home décor. I would love to read more personal/lifestyle and beauty posts! Hi Rachel! Love your blog. I’d like to see more content around how you manage your businesses; the fashion brand and your blog and social media. I’d also love to see more content around being a working mom and wife. I would also more temple and spiritual content. Thanks, Nhlaks. More home decor stuff!!! I love your home style as well. I absolutely love your style! I would love to see ideas for family photo shoots. Your family photos always look amazing and I have a hard time trying to coordinate outfits. Thanks!! Loved the post Rach! Some topics I would like to see on your site is beauty, morning routine, home decor, and accessories. I’ve been following you for quit a while now and I always love your interior and event (dinners, babyshower) posts. Maybe you can do more with videos, I like to see you on youtube (a youtube channel?) I’m super curious to your new project, and I hope that it will be also available/ visible in Europe (Like I wish I could order your clothing line). Or maybe tips from you, as an entrepreneur. You are doing such a great job, you are growing fast, you (seem to make) good choices about your business and your speech at UVU is an inspiration! Please share more on photography, especially how you edit your photos. They are always so beautiful! Hi! You are the most stylish person ever! Definitely my favorite blogger. I would love to see outfit ideas for family photo shoots. You coordinate everyone’s outfits so well! Thanks! Thanks for asking for content ideas! Keep it coming, you are one inspirational lady! Hey Rach! Would love to see more hosting and party planning tips! 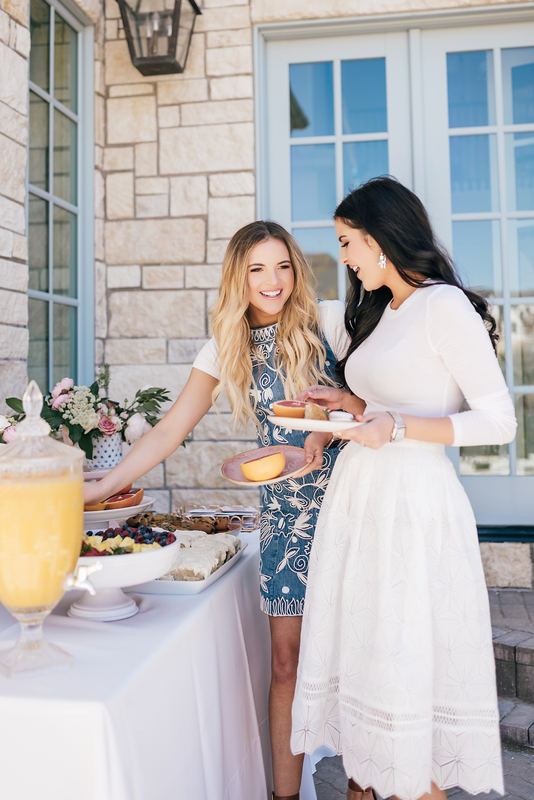 Your gatherings are always picture perfect and you are such an amazing host!! Hi Rachel, your make-up is stunning! Tutorial please! I love the posts, and have been a reader for years. I think as you have grown in career and as a mother i’d love to hear more about your business side of things, running it, your staff composition etc and more on your motherhood experiences, pregnancy, and day to day with your little ones on things like meals, and whatever else you may wish to share. But not too much change that you lose your current vibe! i think apply change as you feel necessary and not because of expectations so that you remain authentic. I’ve seen through your posts how much family means, so maybe some content on family, marriage. Day to day life, motherhood and its struggles (i have a 3 and 1.5yr old- and it can get HARD) and cooking. How you juggle everything. ? i’d be interested in more transparency about the inner workings of your blog. How many people it takes to run it, how involved you are in the process, how you balance it with being a mom of two littles, how sponsors reach out to work with you, what type of camera & lens do you use, what you do with all your clothes after shoots. It’s just always fascinating when bloggers post behind the scenes of their blogs and we get to know the real blogger and their team, instead of just the surface face of the blogger – even though you have some of the most beautiful pictures and clothes, no doubt! I agree with so many of these others. I love seeing the pretty pictures and beautiful outfits, but would really love to hear more “behind the scenes” of your blog and business to get to know “you” a bit better. Additionally, although I do love your beautiful clothes, the truth of the matter is — most of us everyday women can’t afford the pricey brands you blog (though we do love to look at them). With that in mind, I think there’s three things we’d love to see blogged about. One, have you figured out some good tips on how the average woman can occasionally afford to buy designer goods? (If so, please share!) Second, I love it when you link to similar looks for less — I’d love to see more of that! Third, occasionally, it would be great to see you blog some looks (or even pieces) that are more affordable that more of your readers could afford (along the price point of Loft or Banana Republic). It would be great if you did “a day in the life of Rachel” The Wall Street Journal Monthly magazine (comes in a Saturday issue) does a profile called “Tracked” and it follows around their featured person and shows 7 or so, time stamps in what they are doing, but also some trivia things like, the number of emails they get in a day, what they eat for lunch etc. Yours might show 9 am feed family, – go to the office, work on new design sketches, meet with fabric suppliers, 12 noon – bring 12 outfit changes for blog/instagram posts. 2 Lunch with sister, 4 pm etc… I think it would help us to see what it’s like to be you in a given day :) Keep up the good work! I LOVE anything you post related to home decor and entertaining. I look forward to your Christmas decoration posts every year. haha i am a total nerd! Since you are designing the new house i think it would be fascinating to see more of that process! also, i think some vlog stuff could be really cool! It would be cool (if your sisters all agree) to do a “what we wore” post and post a picture of all of you and then individual pictures of everyone. Each of you could talk about your outfit and style under the individual picture. I have 4 other sisters so I love seeing you interacting and hanging out with your sisters. I would love to know more about the design process of your new home. It would be great to know where your design inspiration comes from. I struggle with staying timeless or going with a bold “moment” decor/design. I also love viewing your seasonal home decor posts! I enjoy your church attire Instagram posts. Now having a baby daughter I’m addicted to picking out the perfect Sunday outfit for church. It would be wonderful to see more posts regarding your adorable children. More beauty posts! I really really really would love to see a post about how you care for/shape/maintain pretty eyebrows! I know that is so random, but I have dark hair as well and I don’t know how to color them in or what I should be doing…yours always look fabulous! You are so real! I thought it only happened to me. You look beautiful! I would love to see more posts on different makeup and hair looks. Also, a post on seasonal accessories would be fun. Maybe even a post on current recipes you’re trying. Love your blog and Instagram! I would love to know what you eat! I’ve recently been a mom and I’m still struggling with the last few pounds.How do you keep in shape after your two babies? I love anything you do related to your gorgeous home! Interior Design please! I also love travel pix! I would welcome a list of closet staples. The bear minimum you should have in your closet that can be used everyday all day for all occasions. Including accessories, styles, options, etc. Thanks! They are from Tai Pan! I would love to hear about about how you started your blog and how you keep it going. I would enjoy a post on some of your blogging tips for those in the early stages of starting a blog and for those thinking about starting one. I would really love to hear about your workout suggestions and tips on the blog! I know you’ve been talking about your experience with BBG on Instagram, but I would really love to read a blog post about it that goes more in depth. BTW, I love all your posts and your clothing line <3!!!!!!!! !